We want to be your builder! 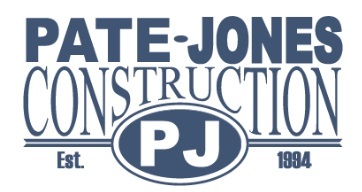 Pate-Jones Construction is Columbia, Missouri’s custom home builder. Featuring new construction and remodels throughout Columbia and Boone County, for the past 25 years our goal has remained the same – we endeavor to build you the ideal plan, in the ideal neighborhood, and at an ideal price. With our guaranteed pricing, easy step-by-step building process, and exceptional customer service we are dedicated to building your home. We are very hands on from meeting with you to look at lots and design your home; being on the job site throughout the building process; communicating with you and helping you manage your allowances; following up with you regarding service after you move in; etc. As owners, we have a vested interest and work hard to make your home building experience a positive one. Celebrating 25 years of building beautiful homes, Pate-Jones Construction is dedicated to building your home to fit all your needs and desires in the location you love. We offer lots in beautiful neighborhoods with convenient locations and the ability to build in other locations as well. We build where you want to live!